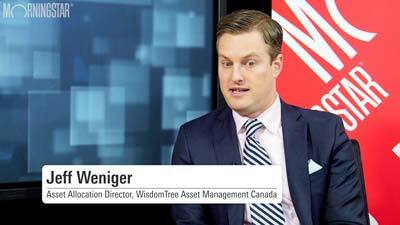 Invesco Canada Ltd. today launched Invesco S&P 500 Equal Weight Index on the Toronto Stock Exchange. The exchange-traded fund's strategy is intended to reduce the industry-concentration risk and security-specific risk associated with the market-capitalization-weighted S&P 500 Index of large-cap U.S. stocks. At each quarterly rebalancing, the ETF will give each of the 500 constituent stocks a weighting of 0.2%. Invesco noted that as of the end of April, the "FAANG companies" made up almost 12% of the S&P 500. (These five companies are Facebook Inc. (FB), Apple Inc. (AAPL), Amazon.com Inc. (AMZN), Netflix Inc (NFLX) and Alphabet Inc. (GOOGL).) "A significant portion of the returns are driven by these few securities," Jasmit Bhandal, head of ETF product strategy and development, said in a release. The new ETF is available in three series, differentiated by their currency exposure. They are CAD-unhedged (symbol: EQL), USD-unhedged (EQL.U) and CAD-hedged (EQL.F). The management fee for each series, which also covers most operating expenses, is 0.25%.